Model, analyze, and solve vibration problems, using modern computer tools. 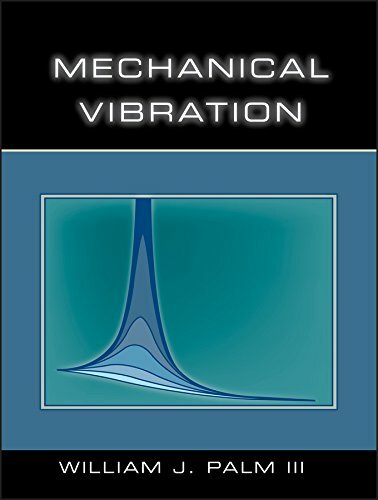 Featuring clear explanations, worked examples, applications, and modern computer tools, William Palm's Mechanical Vibration provides a firm foundation in vibratory systems. You'll learn how to apply knowledge of mathematics and science to model and analyze systems ranging from a single degree of freedom to complex systems with two and more degrees of freedom. Separate MATLAB sections at the end of most chapters show how to use the most recent features of this standard engineering tool, in the context of solving vibration problems. The text introduces Simulink where solutions may be difficult to program in MATLAB, such as modeling Coulomb friction effects and simulating systems that contain non-linearities. Ample problems throughout the text provide opportunities to practice identifying, formulating, and solving vibration problems. William J. Palm III is Professor of Mechanical Engineering at University of Rhode Island.